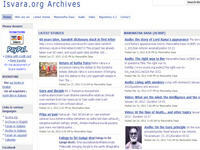 A site prepared by Manonatha Dasa ‎‎‎(ACBSP). Its purpose is to present the Vedic and Vaishnava history and philosophy to the vast Internet public. Category Prabhus July 3, 2012 by ISKCON Desire Tree.